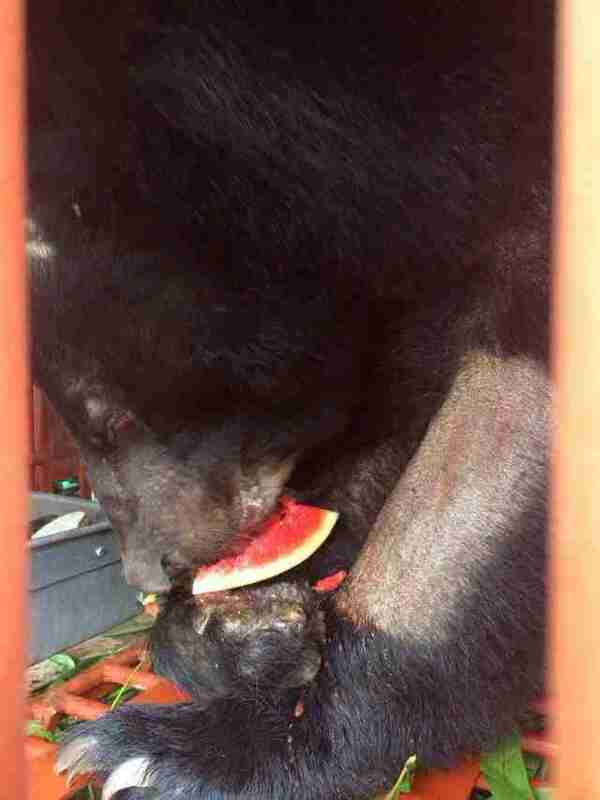 Three moon bears arrived at Animals Asia's Vietnam sanctuary on Monday night after a grueling 2,000 kilometer (approx. 1,240 mile) rescue almost the full length of Vietnam. The rescue party arrived around 8 p.m. on Monday night, after the truck carrying the bears broke down in the afternoon. The remote stretch of road meant that no mechanic could be found, but fortunately a passing Forest Protection Department official directed the team to a nearby town where a new truck was sourced. "The finish line was so close and then the truck carrying the bears was suddenly unable to continue. We feared a delay of many hours but thanks to the uniformed FPD official, a new truck was found and the team managed to move the bears from one to the other which was incredibly stressful. It was yet another example of this resourceful team being given a problem and smashing through it. Three bears, two thousand miles? They did it. A broken down truck in comparison was just a minor inconvenience. They are an incredibly special team and thanks to them, three bears are about to start a whole new life." Monday marked the end of a five-day rescue which freed two bears from a bile farm in Ben Tre province, and a third from nearby Ba Ria. The moon bears, now called Coco, Yogi and Bern, were all voluntarily transferred to Animals Asia's care with the help of provincial Forest Protection Departments. "This rescue has been possible thanks to an incredible team effort. The rescue team's work to get the bears safely loaded on the truck and across the entire length of the country is inspirational, as is all the work being done at the sanctuary in preparation for the new arrivals. I couldn't be prouder of everyone who's made this rescue possible." "We are over the moon to have these three long suffering bears back at our sanctuary where we can begin their rehabilitation. At last, decades of suffering is over for Coco, Yogi and Bern and they can look forward to finally living the life which the poachers and bile farmers stole from them so long ago. 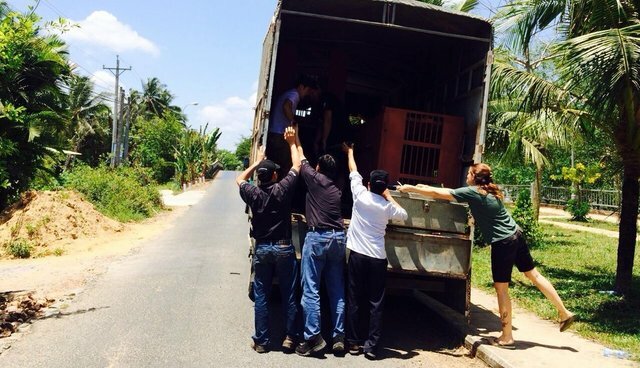 "It's been an incredibly hard rescue for the entire team, but we believe every single bear who has suffered at the hands of the barbaric bile industry deserves their sanctuary. 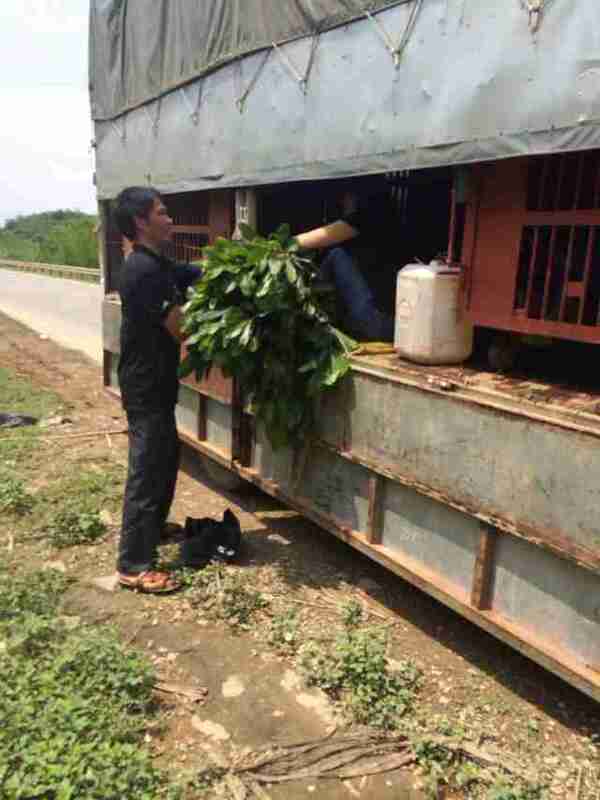 We won't give up on a single bear in Vietnam and if we have to rescue them one by one then so be it."